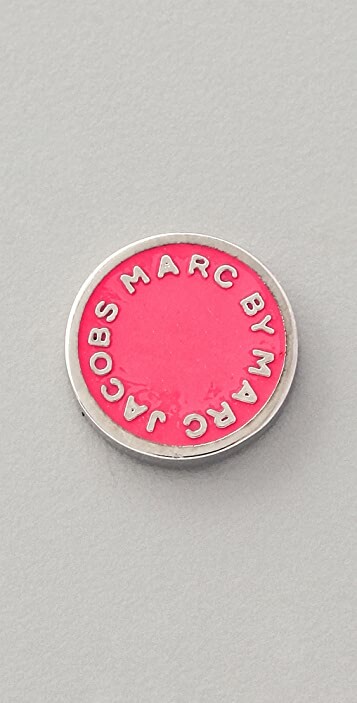 These silver-plated Marc by Marc Jacobs post earrings feature logo lettering at the enamel-inlaid disc. Nice but not as bright as I had hoped. 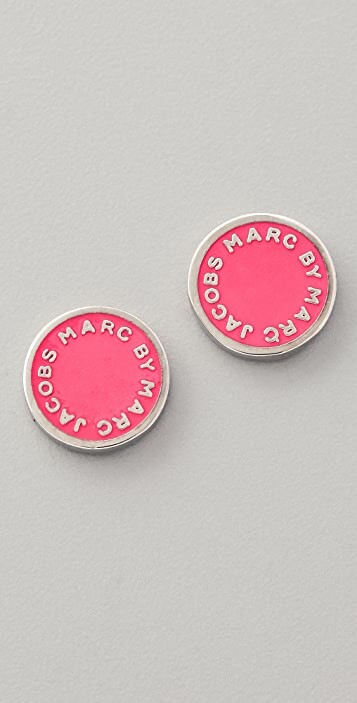 Love these, I have them in hot pink and gold and prefer them. 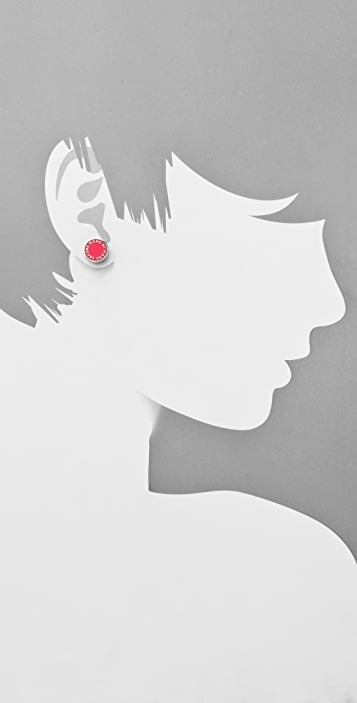 I think that's because the silver kind of mutes the hot pink, making them not as bright and a bit orange. That being said I'm really happy I bought them.